Westport, an artists’ community since the turn of the 20th century, continues to attract creative types. Despite commuters and corporations, the town remains more artsy and cultured than its neighbors. Westport has a vibrant downtown, generates a feeling of a New England town with the convenience of modern life. The town provides a wide range of leisure activities and recreational venues. The town is located on Long Island Sound, and has three beaches located on the coast. 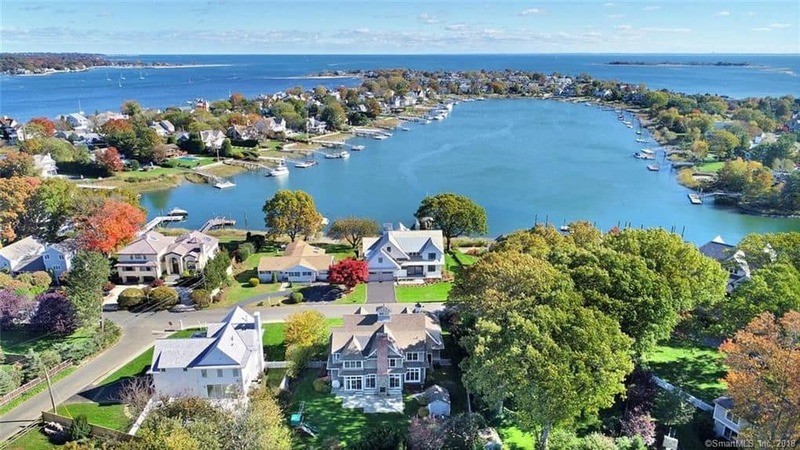 Continue reading our Westport Connecticut Travel Guide and plan your next vacation to this wonderful beach-side community. In Westport, the summers are warm and humid, the winters are very cold, and it is wet and partly cloudy year round. Over the course of the year, the temperature typically varies from 23°F to 83°F and is rarely below 9°F or above 90°F. The warm season is from June thru mid September, with an average daily high temperature of 73°F. The hottest time of the year is July with an average high of 83°F. The best time of year to visit Westport for is from early July to late August. Summer visitors congregate at this state park, which has a 1½-mile sweep of sandy beach, two picnic areas on the water’s edge, sports fields, and several food stands (open seasonally). The on-site nature center offers various programs from bird-watching to nature walks. Note that there’s a parking fee Memorial Day–Labor Day. 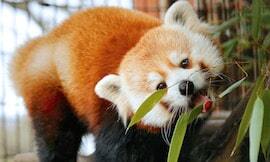 The indoor, walk-through South American rain forest alone justifies a visit to this zoo. It comes alive with dozens of species, some rare and endangered, such as keel-billed toucans, broad-snouted caimans, and black-and-gold howler monkeys living in a lush environment of waterfalls, ponds, greenery, and bamboo. The zoo itself has 36 acres of exhibits featuring bison, tigers, timber wolves, and proud peacocks that freely roam the property right along with you. There’s also a working carousel and a New England farmyard. The Lockwood-Mathews Mansion Museum is regarded as one of the earliest and most significant Second Empire Style country houses in the United States. Built by renowned financier and railroad tycoon LeGrand Lockwood from 1864-1868, the Mansion, with its unparalleled architecture and interiors, illustrates magnificently the beauty and splendor of the Victorian Era. Sheffield Island with its historic 145-year-old lighthouse, beaches and wildlife refuge offers abundant summer fun for visitors. From May through September, visitors can board the Seaport Association’s 45-foot C.J. Toth catamaran for a cruise to the island then tour the lighthouse, observe wildlife in their natural habitat in the Stewart B. McKinney National Wildlife Refuge, hunt for shells along the beach, dine on a picnic lunch, play on the lawns around the lighthouse and just have a good time. 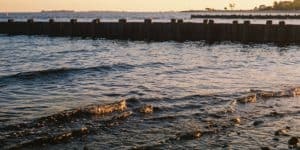 Explore beaches, nature preserves, and the coastal towns from South Norwalk to Black Rock on a unisex beach bike cruiser. They’ll give you a fun way to exercise: ride all day or go slow. Choose an all day rental or a guided bike tour. For more information call +1 203-917-9533, or visit them on the web at Westport Bike Rentals. Longshore Sailing School is a community sailing and rental facility located at the mouth of the Saugatuck River on Long Island Sound. In addition to our junior and adult learn to sail programs, we offer sailboat, kayak, and paddle-board rentals, provide private lessons, and host private events. For more information call +1 203-226-4646, or visit them on the web at Longshore Sailing School. Full-Service Stand Up Paddle Boarding & Kayaking! Downunder is the only operation of its kind in Connecticut – 3 locations, on-water, retail and rental of stand-up paddle boards (SUPs), sit-on-top kayaks, and all the equipment, fashions and accessories that go with them. For more information call +1 203-956-6217, or visit them on the web at Downunder. Head into Pedego SoNo and rent one of their amazing, exciting Electric Bikes. When you ride a Pedego you won’t want to ride any other bike. For more information call +1 203-354-9333, or visit them on the web at Pedego Electric Bikes SoNo. Enjoy a relaxing 2 hour cruise through the Norwalk Harbor and Long Island Sound. Pack a picnic and a bottle of wine and take in the unique views of the city and the surrounding waterways. Our cruises run every Wednesday & Friday evenings during the summer. For more information call +1 203-838-9444, or visit them on the web at Seaport Association. Compo Beach is a 29 acre park with an extensive sand beach along the shore of Long Island Sound and borders the Saugatuck River. It is handicapped accessible with a boardwalk, pavilion, concession stand, two sand volleyball courts, large wooden playscape, bathroom facilities and lockers, and is adjacent to the Ned Dimes Marina. Compo Beach daily passes are limited to 100 per day. The beach is open year round. All cars must vacate by midnight. Motor vehicles and motorcycles may enter the beach with a valid Parks and Recreation vehicle parking emblem or by paying the daily fee. 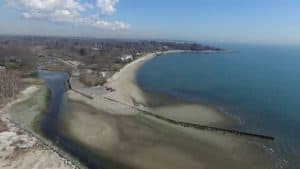 Burying Hill Beach is a 2.39 acre park with sand and rock beach along the shore of Long Island Sound. It has restroom and changing area facilities, picnic tables, grills and is adjacent to a wildlife area along the canal that borders the park. 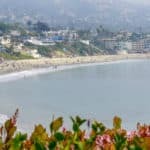 The park is open May 1 through Sept. 30 from 5 a.m. to 10 p.m. Motor vehicles and motorcycles may enter the beach with a valid Parks and Recreation vehicle parking emblem or by paying the daily fee. Old Mill Beach is a 1.8 acre park with sandy beach along the shore of Long Island Sound. It does not have restroom or changing area facilities and has limited parking available. The park is open May 1 through Sept. 30 from 5 a.m. to 10 p.m. Motor vehicles and motorcycles may enter the beach with a valid Parks and Recreation vehicle parking emblem and a daily fee is not available. No lifeguards on duty, swim at your own risk. This upscale seafood bar serves straight-from-the-sea clams, oysters, and fish inventively prepared and exquisitely presented. The clean lines of the dining room give the nearly always crowded restaurant a maritime feel that perfectly complements the food. For more information call +1 203-557–0902, or visit them on the web at The Whelk Restaurant. This romantic storefront café serves a savory mix of northern Italian and southern French specialties lovingly prepared by chef-owner Pietro Scotti. Lobster pappardelle, sautéed sea scallops with mushroom risotto, and Parmesan-crusted salmon with pesto linguine are all delicious choices. Save room for the warm chocolate-lava cake. For more information call +1 203-454-1213, or visit them on the web at Da Pietro’s Restaurant. Within the garden store Terrain, you’ll find a quaint café that offers exquisitely prepared cuisine using locally sourced organic produce so fresh you’ll want to become a gardener yourself. Entrées like line-caught Atlantic cod with squash risotto, or the braised beef short ribs are served with a delicious (and frankly adorable) terra-cotta pot of baked bread. The delectable Terrain burger usually comes on either a crosssection of a tree trunk or a thin slab of slate. For more information call +1 203-226-2750, or visit them on the web at Westport Garden Cafe. Beside the Wesport Country Playhouse, this pretheater favorite celebrates regional American, farm-to-table cuisine. Many ingredients are sourced locally; others come from prominent ranches and farms around the country. Highlights include baby back ribs served with an apple-cabbage slaw, and seasonal items like the Connecticut lobster succotash with fresh corn, zucchini, and roasted peppers. A huge fieldstone fireplace warms the rustic-chic dining room, with its sturdy ceiling beams and barn-board walls. For more information call +1 203-226-1114, or visit them on the web at Dressing Room. The Spotted Horse Tavern is a neighborhood respite where folks gather over great food and drink. Housed in Westport’s historic Sherwood House (circa 1808), the design is modern in its interpretation, with a nod to the historic building’s colonial past. The menu is in keeping with our local food movement but we don’t beat you over the head with it. Organic, clean, distinctive flavors find their way into each dish by way of unique ingredient combinations and thoughtful preparations, and favorite comfort foods are left to speak for themselves. For more information call +1 203-557-9393, or visit them on the web at The Spotted Horse Tavern. The food is fine and worth the prices – the drinks are great! They have a wonderful outside area in front and lively Happy Hours! Some nights, they have a band if you’re into that. This restaurant is appropriate for everyone – families will feel comfortable here as will anyone wanting a nice restaurant and a great bar. For more information call +1 203-557-9393, or visit them on the web at The Spotted Horse Tavern. Our House also has a basement where DJ’s spin today’s music for those who want to dance and let loose. The basement has a bar and couches reminiscent of a real house party mixed with a trendy nightclub. Two floors of fun and great energy keep Our House as the flagship new concept in SoNo. Don’t miss out on this great bar and eatery, stop in and meet the family tonight! For more information call +1 203-939-1347, or visit them on the web at Our House SoNo. Great Food & Great Service with 28 TV’s and all of the Sports Packages! Come for a game, or just a bite & a beer! For more information call +1 203-956-7243, or visit them on the web at The Blind Rhino. Really good food and drinks. Dragonfly sangria is amazing. Service is excellent. The wait can be incredibly long at times. However, this shouldn’t deter me from visiting! For more information call +1 203-222-8226, or visit them on the web at Bartaco – Westport. A great beer bar in SoNo. Fantastic staff, great tap line up, nice clean bar with consistent service. The beers are rarer, harder to find beers so you will pay a slight premium. Big plus is they publish their beer menu online so it makes it easy your beer selection. For more information visit them on the web at Spigot Beer. The hotel features original art by local artists and galleries throughout the hotel. Enjoy sophisticate style and supreme comfort in one of the 96 spacious guest rooms. The modern, upscale rooms have been designed to work how you live. There are three zones for flexible living: the restful night, the wind down lounge, and the productive work areas sync together as versatile space. For more information, pricing, or to reserve your room visit Hotel Zero Degrees. 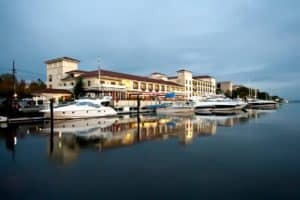 Delamar Greenwich Harbor offers a luxury waterfront escape to those traveling on business or pleasure, with 82 deluxe guest rooms and elegant suites. All guest rooms and suites are designed with the utmost comfort in mind and feature fine Italian linens, stately working desks, spa inspired bathrooms and stunning views of Greenwich Harbor and the town. Many harbor view rooms offer private balconies and several suites feature gas burning fireplaces and can adjoin to accommodate larger parties. For more information, pricing, or to reserve your room visit Delamar Greenwich Harbor. Delamar Southport offers 44 individually designed luxurious rooms and suites, a full service spa, and Artisan Restaurant which offers New England-inspired cuisine. Each of the spacious guest rooms and suites has luxurious baths, marble floors, the finest European bath products and Italian linens. They are also complete with two phone lines, hard-wired and complimentary Wi-Fi throughout the hotel. For more information, pricing, or to reserve your room visit Delamar Southport. EVEN Hotel rooms welcome wellness-minded travelers with a modern sanctuary designed to promote much-needed rest, productive work environments and energy-boosting workouts. Each room features an in-room fitness zone, spa-like showers to unwind and invigorate, and restful touches like cooling eucalyptus sheets and adjustable LED lights to set the perfect ambiance. For more information, pricing, or to reserve your room visit EVEN Hotel Norwalk. 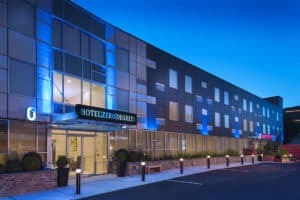 Stay in the heart of the Norwalk and Wilton business districts at the Hilton Garden Inn Norwalk hotel. 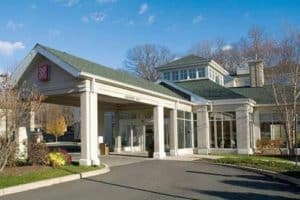 Enjoy complimentary shuttle service to local restaurants, offices, the South Norwalk Train Station and LA Fitness. 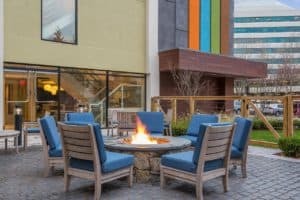 Our hotel is minutes from the vibrant SoNo waterfront district featuring a lively mix of shops and restaurants. For more information, pricing, or to reserve your room visit Hilton Garden Inn Norwalk. I did not realize Connecticut had such an inviting tourist community. With all of the beaches and the cuisine, sounds like it would be a hard place to leave. With the New England vibe, parks, and multiple beaches, puts this location on my to-do list for a late summer get-away for sure. Would you have any information about area parks supporting RV campers with full hook ups? Thanks for the this most informative article! I have spent some vacation time in Massachusetts and just love the old style New England shops located throughout its’ Boroughs. There are actually no RV camper sites in Westport, but there are some a few miles away. Here is the link so you can take a look. Thanks for your visit to my Westport Connecticut Travel Guide. Amazing.I’m looking forward to visiting this incredible city. Westport is fully equipped with two business centers and a commercial corridor down at Center main street. Street downtown is renowned for shopping and a wide variety of unique shops. Anything can be found, from automobiles to hardware. Westport has long been known as a fine dining destination. 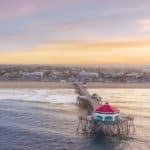 Combo Beach is a twenty nine-acre park with sand beach and includes a boardwalk and large wooden bath houses, picnic areas, sand volleyball, and basketball courts. It is awesome Leo, glad you enjoyed my Westport Connecticut Travel Guide. Please let me know if you need any additional information. Guess where I want to go now?? Westport looks like an AMAZING place! I have never heard about this place until today, and quite frankly, I consider that a shame! This site should be seen by as many people as possible!! I really like how it’s been laid out here. The attractions, the beaches, and resturant guide… I was hooked! Thank You for giving me another place to visit!! It is amazing Shaunna! 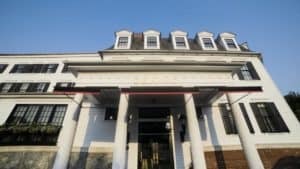 You will absolutely love a visit to Westport Connecticut. I am glad I could help you add an item to your bucket list! Thanks for visiting. This is a well-written travel guide for somebody that has not been there before. While reading the Travel guide, it was as if I was teleported to the Westport already. I specifically fell in love with the Sherwood Island State Park and Connecticut’s Beardsley Zoo. I will give anything to come in contact with black-and-gold howler monkeys mentioned here.Wow, I love biking, one of my favourite exercises. I want to ask a question, is it only between July – August that is advisable for one to vacate there? Oh heavens no Gracen. You can go there with a much broader range of date. 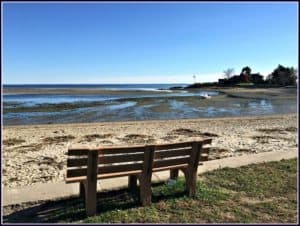 Click here to see their average temperatures, that might be the determining factor for you 🙂 I am glad you enjoyed your visit to my Westport Connecticut Travel Guide. Very informative. Makes me want to go. The only thing I can see to fix is the pictures ate a little too big making it had to read. Ok, for some reason the pictures look the perfect size on my devices, so not sure what I can do. But I will try and get that figured out! Thanks for letting me know. 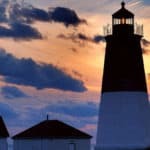 I loved your Westport Connecticut Travel Guide! The family and I have been wanting to travel to the East Coast to well, just check out the beaches. I like this area and you have provided everything we need to start planning. It is now our top destination to visit on the East Coast. Going to check out your other posts Thanks! I loved Westport when I was there years ago. I am so glad to see it has kept it’s artsy small town vibe. That was one of the main reasons that I went long ago. Your picture of Lockwood-Mathews Mansion Museum I think I still have a pic of that myself brought back wonderful memories. Awesome place and the beaches are fairly clean,though it can get a bit crowded still a wonderful experience. Yes, it can get a bit crowded, but then I don’t know that I have found a wonderful beach that doesn’t LOL. I am glad you enjoyed and have fond memories. Hopefully you can head back to Westport for another wonderful vacation. I have heard of Westport and how attractive the place is but I have never been there. I have been planning to visit Westport for my vacation but I don’t really know much about it. Reading this has enlighten me and triggered my interest more on visiting. I will love to explore all the beautiful places in Westport. Great Lok, you will really enjoy the area. Thanks for stopping by and reading my Westport Connecticut Travel Guide. 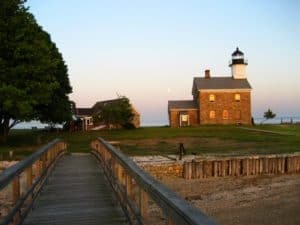 I have always wanted to travel into New England and now after reading your article Westport, Connecticut should be added to my list of possible destinations. Most people I know when traveling go to Martha’s Vineyard and I had thought that was one of the only attractions available in the New England area. I really like the beach life and with all the beaches to chose from at Westport this will be a difficult decision on which one to pick from. 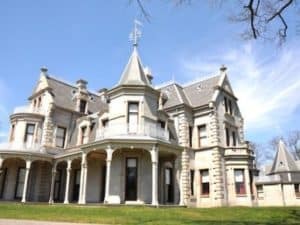 I know the two places that are on the top of my list to visit are Connecticut’s Beardsley Zoo and Lockwood Mathews Mansion. Seeing endangered species in the natural habitat how interesting to be able to watch? And to view the mansion built from that era with its exquisite craftsmanship you cannot find places built like this today. Thank you for taking the time to expose Westport to the world. I am glad you enjoyed Susan and thank you for visiting beach travel destinations. Please let me know if you need any additional information. Hi, I’ve not travelled to the U.S. before and now I really want to! There is something about beach life that is just so wonderful. I live in Australia and can see the beach from my house. For me, it brings a sense of calm and connectedness. The sheer vastness of it is very grounding. And then when at the beach itself, well the sand in my toes, the warmth of the sun, and the sight of my kids splashing in the water, for me is just magical. I think sometimes we can forget how lucky we are when the beach is right there all the time. And then, when I see pictures like the ones you’ve shown here of Westport, I feel as though I must see it. It looks so beautiful, and it sounds like there’s lots to do there too. Thank you so much and I’ll be seeing your other pages of beaches from around the world. I definitely think a holiday is in order soon. Sounds like we are very alike Melissa! I too live on the beach, and sometimes I take it for granted. Then I head down there and I wonder why I had been neglecting it! The beach is peaceful, relaxing, calm. You are right! Thanks for visiting my Westport Connecticut Travel Guide. Westport Connecticut, I think is one of the strategic places for travel destinations. The place is endowed with beauty where you can enjoy life-promoting bounties and ambiances. One main concern for travel places is peace and security situation so I would ask if there are any history of kidnappings or any crime committed to travelers inside that place? One thing more is that were there any historical instances that the place has experienced being submerged by a high tide? Thanks for the visit to my Westport Connecticut Travel Guide. First off, you will not find this area to be bothersome with crime. It is a pretty safe area. Of course any time you are traveling, you should always take precautions. Westport has not been submerged per se by water. They have seen some flooding from hurricanes in the past, but nothing that has caused a huge problem as you see in the Caribbean. 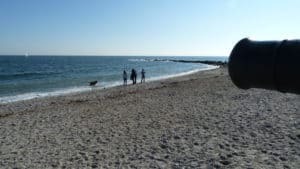 Of all the areas of Westport Connecticut, I’ll love to go to Westport beaches. 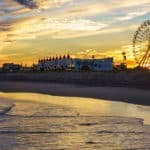 I love visiting beaches and Connecticut has been on my bucket list just for the beaches. It looks like Westport has it’s share of wonderful ones! Beaches, wonderful sunsets, and the sound of the ocean…. the best place to go with family for vacation. I remember every moment I’ve been to a beach. Can’t wait! I agree with you 100%. Beach vacations are probably the only kind of vacations that I take 🙂 Thanks for visiting my Westport Connecticut Travel Guide. This very beautiful place to visit and the photos, they are amazing! You have me hooked on visiting Westport. I have added it to my vacation list so I can enjoy to the fullest the beach and the open waters, which are very inviting. I love your site and my list keeps getting bigger on places in the U.S. to visit. 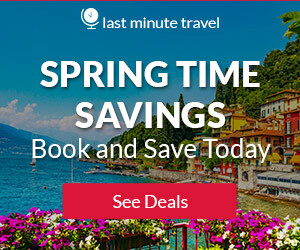 I know I do have a lot of wonderful destinations on my site. If you need help deciding on which place you are wanting to go to, I would love to help. I am glad you enjoyed your visit to beach travel destinations. Thanks for this well detailed and informative travel guild. One place I will love to visit is Westport Connecticut for the art, people and culture. I am in the planning stages right now, and you have provided me with pretty much all the information that I need, thank you! Hi Salim, and I am glad I could help you with your planning of your upcoming trip to Westport Connecticut. I think you will have a wonderful time. If you need any further information, or assistance with planning, please don’t hesitate to ask. The Westport beaches in Connecticut look beautiful. I have never been there but it looks like a picture perfect place to visit. I also love the history of Connecticut. Next time I plan a trip I think I will book a flight out to the east coast and visit this beautiful place. I will make sure I go in the summer because I get enough cold winters here in Wisconsin. Oh boy, yes you do have the cold winters and a summer trip to Westport would be great for you. Plus it is really not a great distance, so pretty easy on the pocket book. Thanks for visiting my Westport Connecticut Travel Guide.